← Seeking submissions and readers — let’s fill in the map! Miriam came to the US from Cuba in the 1950’s. She was only 13, but because she was tall for her age, she was put in high school classes: math, English, history, etc. When she tells her story, she lights up to remember that when she walked into math class she saw that the board was in Spanish! (Math being the universal language!) 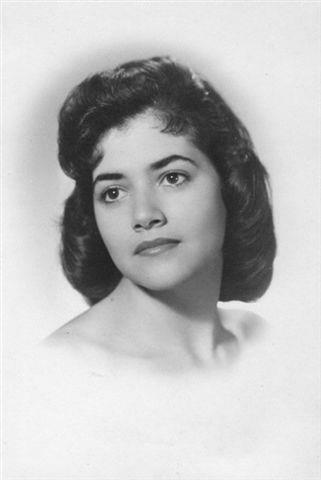 She went on to become a professor of Computer Science, Math and Math Education and was later identified to be the first hispanic woman in the US to get a PhD in Math and Math Ed. I think this story is significant in that it demonstrates the barriers women faced: When she applied to grad school at UNC, she was initially denied admission. When she went to meet the director of graduate studies to ask why she had been denied, he said, “Well, the only reason women go to grad school is because they didn’t find a husband in undergrad!” (She had already met my dad years before, for the record.) She endeared herself to a Russian professor there who took her under his wing and she finished her Master’s degree. Her first job was as a high school math teacher, and she was barely older than her students. Then she got a position at UNCC, where she taught for over 30 years. She has 2 children and 2 grandchildren (4 if you count my step kids). Alejandro is 10 and Sophia is 7. They have probably helped her figure out her iPhone now and again, but they spend all their time together learning, or talking about learning! I could not have done it without the love and support of my mother and 2 aunts, who never went beyond 6th grade but who encouraged me to get ahead. This is a wonderful example of what can be achieved with strong commitment, family support and a brilliant mind. I am proud to be her brother! I’ll add the importance of Miriam’s sense of humor! Miriam, your line that you somehow cluelessly missed the message that you were supposed to just stay home and have babies, so you got a PhD, always gets a laugh of recognition! Hope you’re well, old soul. –Marianne Knowles, formerly of Great Source.